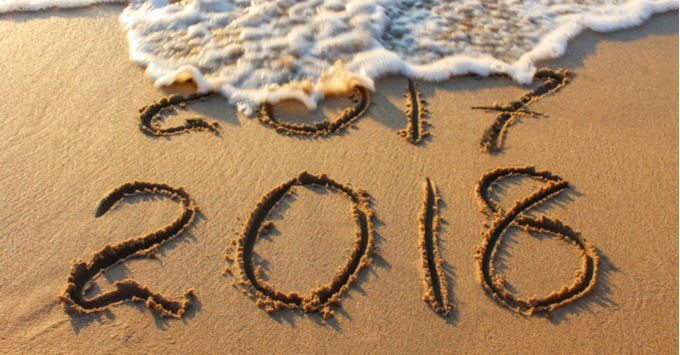 If you begin to notice a wave of year-end promotions to either get you on a last-minute cruise or to secure your booking for later in 2018, that's because we're in the cruise line promotional period known as wave season. Now through March, cruise lines will entice potential cruisers with cabin upgrades at no additional charge, price reductions on cruise fare and heaps of onboard spending money. Check out the latest offerings from your favorite cruise lines to see what perks and discounts might be in store this winter. What it is: When you book a Club Oceanview stateroom or higher cabin category on your next Azamara cruise, get the second cruise fare half off. Plus, enjoy free internet for the length of your sailing. Eligible voyages include: A variety of sailings cruising throughout Europe and the Med, including sailings during the Grand Prix and World Cup. What it is:To commemorate their 125th anniversary, Hurtigruten is offering savings of up to $1,250 per person on select Antarctica sailings. Eligible voyages include: Select winter 2018 and one 2019 departure on various Antarctica itineraries. The full $1,250 savings is available on a Christmas departure (12/20/18) as well as four sailings that might include the Falklands or South Georgia. What it is: Uniworld Boutique River Cruise Collection invites you to book a sailing from Paris, Budapest, Nuremburg and more, for a savings of up to 30 percent on cruise fare. Plus, the line's Inspirational India Sale offers a savings of up to $2,500 per person on the line's exotic "Golden Triangle & the Sacred Ganges" sailing. Eligible voyages include: More than 300 unique itineraries. What it is: Book a cruise to the Caribbean on MSC Seaside, and save up to $900 per cabin during the line's Sail & Save promo if you book by the end of March. Balcony cabins start from $539 per person. Eligible voyages include: MSC Seaside cruises on itineraries like a seven-night sailing to St. Maarten, San Juan and Bahamas, in April or September, or a cruise to Jamaica, Cayman Islands, Cozumel and Nassau in May. What it is: European sailings on Emerald Waterways start from $1,895 when you book by the end of March using promo code EWUTHOU. Save $1,000 per person on the Rhone and the Danube this summer. Eligible voyages include: Select itineraries including Danube Explorer and Southern France sailings. What it is: Norwegian's Free at Sea perks include up to all five offers. Offers include a drinks package, specialty dining package, $50 per port to spend on shore excursions, 250 minutes of free internet, and free third and fourth passengers to a cabin. Studios and inside cabins qualify for one offer; passengers staying in an ocean-view, balcony and mini-suite cabins receive two perks; select Haven and suites receive u pto all five offers. Eligible voyages include: More than 200 applicable sailings of three nights or more. What it is: Celebrity is giving everyone in a stateroom perks -- the first two passengers can receive up to $150 in onboard credit based on cabin category, a classic beverage package, prepaid gratuities or unlimited Wi-Fi. For an ocean-view cabin or higher category, the first two passengers to a cabin can book two perks; those staying in suites receive all perks, plus a $400 savings and premium beverage package upgrade. Third and fourth passengers to a room save 50 percent on cruise fare. What it is: Princess is discounting a number of sailings this summer up to 40 percent, plus third and fourth passengers to a cabin can cruise starting from $399 per person. Additionally, Princess is offering free gratuities and up to $300 off airfare on fall 2018 through spring 2019 sailings. What it is: Book a Cunard cruise to a wide variety of destinations, with fares starting from $999 per person, excluding taxes and fees. Plus, past passengers receive prepaid gratuities, and anyone staying in a Grills Suite gets free drinks. Eligible voyages include: A variety of sailings from transatlantics to the Caribbean, Asia, Africa, Northern Europe or a cruise that goes to Japan and Alaska. What it is: When two adults pay full fare for a cabin during select sailings this summer, up to two kids, age 5 to 18, may sail in a second cabin free of charge. Eligible voyages include: Select dates throughout summer 2018 to Myanmar (Burma) and the Mekong. What it is: Enjoy an independent sailing on one of more than 145 AmaWaterways river cruises in 2018 without paying a single supplement. Eligible voyages include: Base category staterooms on any departure in Europe or Asia (category E and D in Europe; Category C on the Mekong); specially-designed single occupancy stateroom featuring a French balcony on AmaDolce, AmaDante, AmaLyra or AmaCello; or, for a limited time, book any category stateroom (excluding suites) on select departures in Europe or Asia. Valid: This is an ongoing offer. What it is: Select 2018 cruises with Star Clippers will now include up to two cabin category upgrades, prepaid gratuities and $100 per cabin in onboard credit. Eligible voyages include: Select Star Clippers cruises on all three tall ships in the Caribbean, Mediterranean, Indonesia, Thailand and Singapore.